Charles Goodwin, UCLA distinguished research professor of communication and key member of UCLA’s Center for Language, Interaction and Culture, died March 31 from cancer. He was 74. 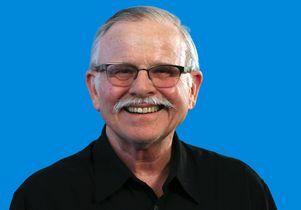 Goodwin, who joined UCLA in the former department of applied linguistics in 1996 and taught until his retirement in 2017, is remembered by colleagues on campus as a creative and compassionate educator, a talented and prolific researcher and a pioneer in the field of social interaction research. From his 1977 dissertation at the University of Pennsylvania, Goodwin cemented his place in the field, said Tanya Stivers, professor of sociology at UCLA. “He not only contributed ground -breaking research but also opened up dozens of pathways for future work including on eye gaze, storytelling, turn-taking and action,” Stivers said. Goodwin’s life work was to further these lines of inquiry and more through his own work, his work with wife and intellectual partner Marjorie Harness Goodwin, who is a distinguished research professor of anthropology at UCLA, and with his students. A dedicated and curious mentor, Goodwin founded and held a weekly “Cooperation Action Lab,” open to grad students, faculty and visiting scholars. In the last few weeks of his life, when he couldn’t make it to campus, he held the lab in his home. 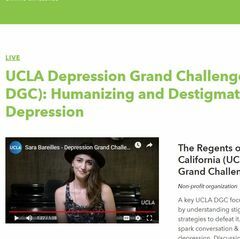 “We, faculty and students alike had the opportunities to share and discuss our ongoing research and present original work-in-progress,” said Federica Raia, assistant professor in residence in the UCLA Graduate School of Education & Information Studies. Goodwin began his professional life as a caseworker in Harlem for the New York City Department of Welfare. In the 1970s his work also included several stints as a filmmaker, working on videos for social causes with the Developmental Center for Autistic Children in Philadelphia and the Philadelphia Child Guidance Clinic. 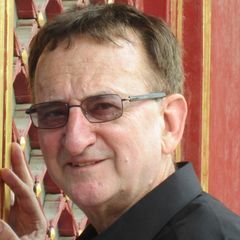 Alessandro Duranti, professor of anthropology and former dean of the Division of Social Sciences in the UCLA College, described Goodwin as a philosopher-social scientist whose sense of wonder allowed him to observe phenomena that others might miss. He is survived by his wife, Marjorie Harness Goodwin; brother Robert Goodwin; and sisters Patricia Wrightsman and Anita Goodwin. And it’s the most wonderful thing. Charles Goodwin, UCLA distinguished research professor emeritus of communications studies.